UNICEF works in more than 190 countries and territories to help children survive and thrive, from early childhood through adolescence. The world’s largest provider of vaccines for developing countries, UNICEF supports child health and nutrition, good water and sanitation, basic education for all boys and girls and the protection of children from violence, exploitation, and AIDS. In Australia, UNICEF works with government and advocacy bodies to defend children’s rights and support international development programs. UNICEF is funded entirely by the voluntary contributions of individuals, businesses, foundations and governments. 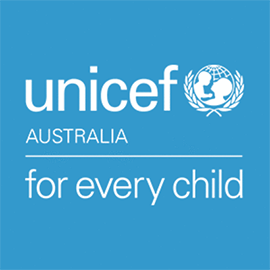 UNICEF Australia is looking for a Digital Marketing Executive in Sydney, Australia. If you meet the requirements below, you will be eligible to apply via Digital Marketing Community. Produce high-level input for the development of our digital acquisition strategy, particularly in regards to the Inspired Gifts Program and Direct Pledge acquisition online. Manage the execution and optimization of your digital acquisition plans through paid media channels. Promote the digital marketing manager in the coordination and management of the media agency through thorough briefing and debriefing. Improve, implement, and report on the Inspired Gifts Program, and extend the reach of the program to new audiences. Develop a streamlined approach to direct pledge acquisition online and cross-sell from Inspired gifts. Use relevant analytics of our campaigns and audiences to better inform future planning, and prepare performance reports across our digital acquisition campaigns. Stay up to date on all the latest digital innovation trends, developments or opportunities. Maintain UNICEF Australia’s emergency response. Relevant degree in media, communications, marketing or equivalent experience. Demonstrated understanding of digital marketing. Effective experience in working with a paid media agency and understanding of digital media mix (specifically paid search, programmatic display and paid social). Proficient experience in using web content management systems (CMS) and Email Management Systems (preferably Exact Target). Proven track record in Microsoft Office suite including Excel for analytics, and Adobe Photoshop for basic image editing. Expert knowledge of collecting data and articulating insights using Google Analytics. Systematic and organized individual with the ability to manage time and meet tight work deadlines. A passionate and energetic team member with a genuine interest in working in the international aid and development sector. Ability to analyze quantitative and qualitative data to inform decision making and drive idea generation. Great ability as an enthusiastic team member with initiative and a positive attitude.